Looking for admissions in the engineering college. Confused where to opt for and how to get admitted in the college. Here we are providing direct admission in New Horizon College of Engineering. Get admitted and start your journey to a wonderful career. Admissions can be tough int the time of competition, but not to worry anymore because we are here to help you to get admission in the engineering college. For a bright career and future everyone deserves a chance to transcend their dream into reality. New Horizon Educational Institution was partly established in 1970 and the New Horizon College of Engineering was established in 2001. The college is an autonomous college affiliated to Visvesvaraya technical university approved by AICTE. The college is located near Marathalli in Bangalore,Karnataka. New Horizon College of Engineering, Bangalore, has been conferred the title of “Outstanding technical institute” by the National Karnataka Education Summit.The college is located in Bangalore’s IT corridor, Near Marathahalli, situated on the Ring Road. Why Take Direct Admission in New Horizon College of Engineering? Campus Placement – After graduation college has some on campus for the students. The college has a factor in placing students to some of the top MNC’s. College Environment for Studies – The environment is healthy and there are landscaped gardens, trees lined pathways, student rest place. Playgrounds and indoor sports facilities develop physical skills. Facilities Provided to the Students -The Central library serves all the reference book and study needs of students in the campus, and contains 98,000 volumes of different books. Technical journals from all parts of the world are well stocked.The laboratories are state of the art and match the needs of many disciplines and subspecialties. There are several labs on campus which are kept up to date and represent multiple disciplines. College Events and Student Activities – There is an auditorium named Major Sandeep Unnikrishnan Ashoka Chakra Memorial centre for performing arts available with 800 seat capacity. Provided with facilities like green room for arts rehearsal and dining facilities. The auditorium is used for college events and cultural festivals of Bangalore city.These factors will definitely lead you to choose the college. 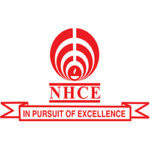 Direct admission in New Horizon College of Engineering is an worth opportunity to take. We provide direct admission in New Horizon College of Engineering through management seats/vacant seats. For more information on admission you contact us. To take a step for your brighter future and career this is the right place and the right time.